We will ski a variety of terrain types: Open Faces, Spines, Pillows, Cliffs, Gullies, and Good Old Fashion Jumps. We will discuss and practice the best way to approach and ski these different terrain features. Each day we will be exploring the decision making behind our terrain and ski choices. Morning and evening briefings will be reinforced with on-snow exercises and discussion, focusing on when to say yes or no. With multiple FWQ podiums under his belt, film projects with Red Bull, and ongoing collaborations with his sponsors, Simon Wohlgenannt is a bonafide Pro Skier. Rarely does such a talented athlete have the patience and skill to pass along his knowledge, but Simon can bridge the two worlds with great ease. His ability to teach advanced freeriding techniques and safe navigation in the mountains makes him the ideal guide for our 6-day intensive course. 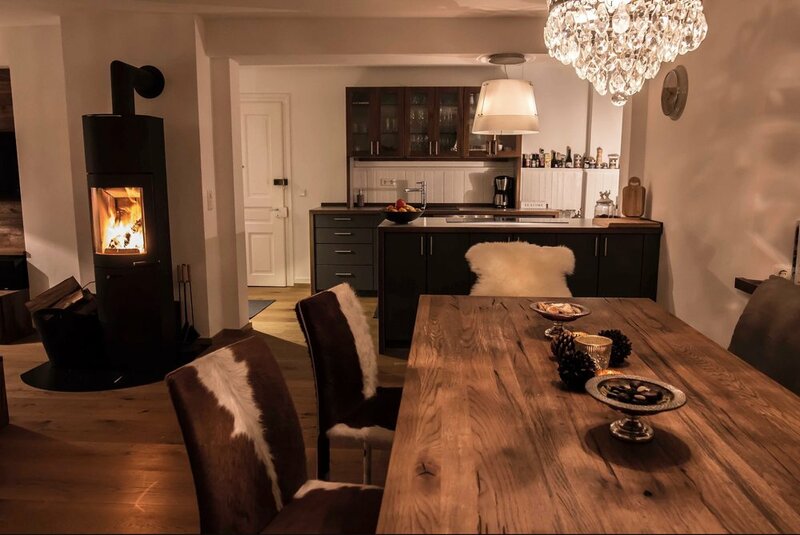 The accommodations for the week will be 3 bedroom modern apartment in the center of Schruns in the Montafon valley. This central location will give us the best access to transportation in the mornings and dining and drinking options in the evening. Montafon isn’t an Apres Ski Mecca, but Schruns has great restaurants and plenty of places to grab a beer.